Caroline Curtis filed this request with the Texas Department of Public Safety of Texas. Although the Office of the Attorney General has an extremely limited role in the state’s gun policy, we will review our files to determine if we have any responsive information. 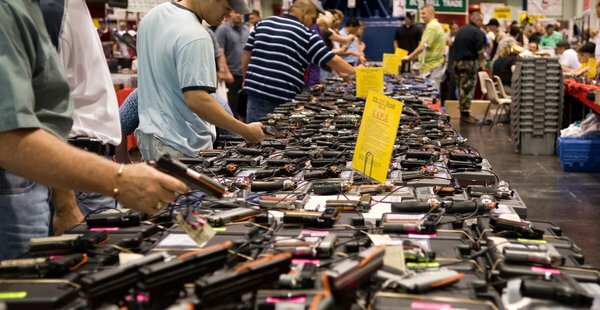 The Texas Department of Public Safety is responsible for the state’s gun policy. You should also consider contacting the Office of the Governor. Please submit your request to that agency. Thank you. Please respond to the e-mail below as soon as possible. We need to determine if the agency has responsive information. Thank you. I am e-mailing per your request, so you can determine if the agency has the responsive information. If there is any clarification needed about my request, I am more than happy to help. The Texas Legislature does allow citizens to file complaints with the OAG against governmental entities that unlawfully post signs prohibiting concealed handguns on property where concealed handguns are legally permitted. As I read your request, you are seeking information regarding the licensure and/or purchase of firearms, not whether licensees can bring their guns into certain buildings. Please confirm the scope of your request. Thank you. I do not have information about the licensure and purchase of firearms. If that is the information that you are seeking the OAG has no information responsive to your request. Please advise if you are seeking information about the posting of firearm signs. If you are seeking information about firearm signs, please specify what type of information you are requesting about this issue. Thank you. This e-mail is in response to your public information request to the Office of the Attorney General (“OAG”), received by the OAG on June 17, 2016. A copy of your request follows this e-mail. I have repeatedly asked you to clarify the scope of your request. As you have not responded to my requests for clarification, I have been forced to initiate the ruling process. Please respond to my requests for clarifications so I can determine whether the OAG should continue the rulings process. Thank you. If you have any questions, please contact me at publicrecords@texasattorneygeneral.gov. Thank you so much for your patience with this matter. I am interested in materials pertaining to citizens of Texas suing the state/government entities or other applicable parties for not allowing them to carry guns. Additionally, I was wondering if there is a spreadsheet or list of complaints against the government on this same matter. And since the Attorney General's Office does not have information pertaining to licensure and purchase of firearms, I was wondering if you could tell me who might? I will withdraw my request for a ruling and close this file. Please find attached a copy of the agency’s withdrawal of its request for ruling. I am forwarding you this public records request. Please confirm receipt and provide an estimated date of completion. Please limit the request to anything in effect in the year 2015. Please take "licensure" to mean any form of licensing required to obtain any type of firearm.